Royal Caribbean and its sister brands Celebrity Cruises and Azamara Club Cruises has introduced a new one-stop shop for agents! 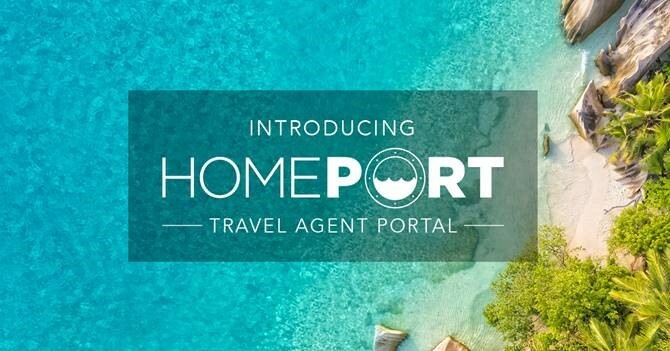 Introducing HomePort, the handy online platform dedicated to providing agents with the latest news, retail promotions, destination insights, selling tips and more. “HomePort has been designed specifically while keeping our valued travel partners in mind. It is an online platform where travel agents will interact with our brands like never before,” said Jason Triebel, Director of Sales, Royal Caribbean Cruises Australia and New Zealand. Agent Resources: Agents will have access to travel agent rates, agent forms and new user guides. Marketing Tools: Current brochures, flyers and information, logos, images and videos will be constantly uploaded to the platform. Current News and Promotions: Royal Caribbean will share their latest news, sneak peaks and campaign toolkits. Ship Guides: Agents will have access to an archive of deployment guides, deck plans and fact sheets. Have clients who booked a Royal Caribbean cruise specifically because they wanted to have a bounce on its Sky Pad ride? You may want to read this. First it was Accor, and now Royal Caribbean is getting in on the whole follow-up investigation statement thing.